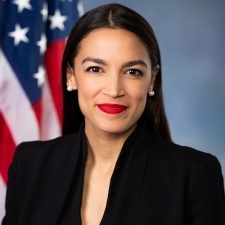 Rising Democrat star Alexandria Ocasio-Cortez has become the first congressperson to appear on Twitch after joining a stream held in support of trans rights. The stream was hosted by YouTuber and streamer Hbomberguy, who was raising money for transgender charity Mermaids by playing Donkey Kong online while talking about key issues for trans people. During the stream, Ocasio-Cortez discussed how discrimination can hurt anybody who is trans in a variety of ways, including financial stability. “[Discrimination] makes these issues much more acute in their crises... it’s important that we talk about these issues in an economic frame, but not let go of the fact that discrimination is a core reason for economic hardship,” she said, as reported by Splinter. Ocasio-Cortez’s participation, as well as the appearances of John Romero and Chelsea Manning, helped the stream raise more than $350,000 for charity.